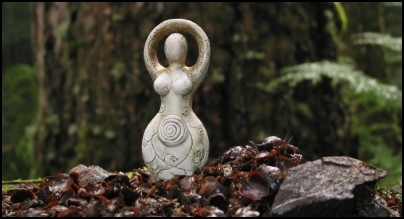 Who is the Wiccan Goddess? The maiden is overflowing with all of the possibilities of the future. Within her are the seeds of what will be. She is the fresh dawn of a new day. She is strength and tenacity and power. She is unbridled enthusiasm and wonder and hope. The mother is ripe fruit hanging pregnant from the vine. She is the foundation, the nurturer, the protectress. She is fortified with strength and placid with the calmness of a sunny day. She is who we turn to for stability and reassurance. 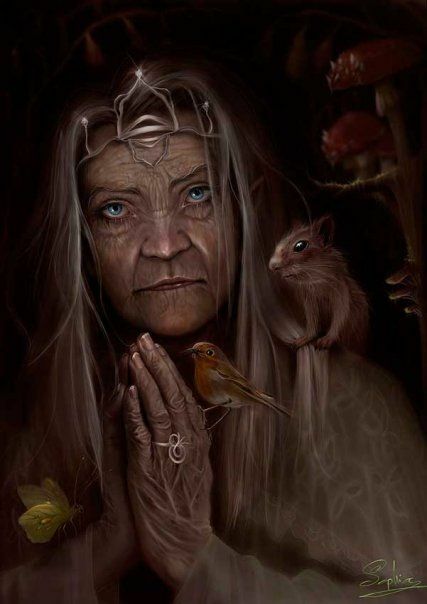 It is the crone we seek in the darkening twilight. We find comfort in her quiet presence and yet we are challenged by her intuitive knowledge and aware of the dark shadows she casts...forcing us to seek the light and answers. If you haven’t already met the Goddess, I think it’s time for an introduction; and if you’re already acquainted, you’ll rediscover some truths and revelations, as one always does with divinity. 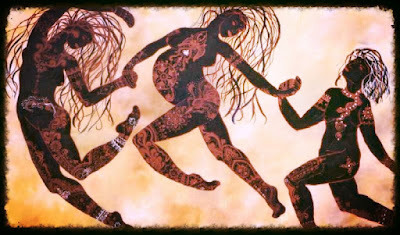 I’ve chosen forty-five of my favorite goddesses from across a wide variety of cultures. This is only a proverbial drop in the bucket, as far as a listing of goddesses goes. These are some of my favorites, some whom I’ve invoked over the years for inspiration, revitalization, magic, protection, and just because the energy felt good. Pay attention to the aspects of each divine name listed here: her particular energies, her specialties, the areas of your life that she can help you with. Listen to her story, feel her magic, open your heart and mind to the Feminine Divine, and draw into yourself her wisdom and power. “Her Story” is not just a mythical tale of the goddess. It’s our story, our voice. Source ~ The contents of “Goddess Connection” found here at Magickal Connections are excerpts from my book, “The Spiritual Feminist”. You can follow this link to purchase a copy. She is the embodiment of the divine feminine. 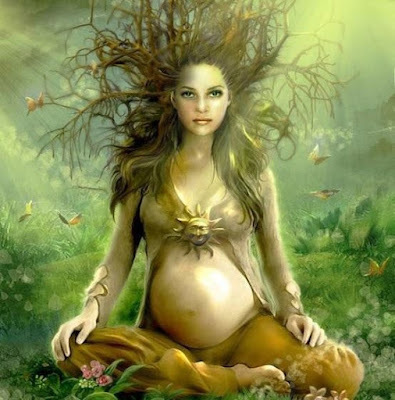 She is Mother Nature, the Earth-- Gaia; she is fertility and the turning of the seasons. She is the cycle of birth, life, death, and regeneration-- or rebirth; she is the Creatrix of all that is, was, and will be. Where the God is hard and unyielding; the Goddess is soft and pliant, embracing the individual and human diversity, allowing for growth and expansion. The Wiccan Goddess is the mother of us all, even mother to the God, for all things must come from Her womb. She is known by a thousand names in every culture, yet we may call her “Mother”. The waxing crescent: The Maiden…the beginning; embracing innocence, purity, strength, and determination as sinewy and strong as any physical muscle worked to heightened development. She is the female warrior, just starting down the road on this journey called life. 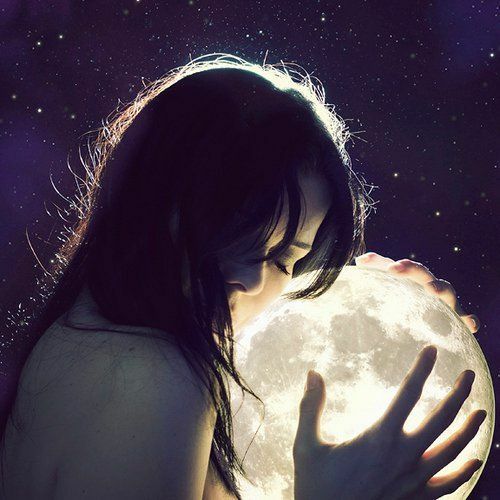 The full moon: The Mother…heavily pregnant with all of life’s possibilities, complete in the knowledge of herself and her desires, active in building her own road, planning her own journey, and actually moving towards her goals. The Mother will create all that which the world holds dear; whether it be children or ideas, art or magick. The waning crescent: The Crone…wizened and cool, deliberate in her actions and words and intentions. She is calm after braving the storms of life in the knowledge that she is victorious over the dark shadows being cast at this stage. She has seen it all, risen above it all, to a pinnacle which allows her to review the world and life with one sweeping glance. She is coming to the close of her natural cycle, where she will once more reach the stage of regeneration…to begin again. This is the Wiccan Goddess. "Natural Magick the Gray Witch Way" by Amythyst Raine. Your consort is with You. Blessed art thou among humanity. Be with us now and throughout all incarnations. "Bless my feet that walk the way of witch. 4. Stand for a few minutes where you are. You may feel physical sensations that are unique to this ritual and goddess energy, or you may feel sensations that are common during the movement of energy and the acquisition of power. Don't be disappointed, however, if you have no physical sensations at all; not everyone is sensitive enough to pick this up. This does not mean that energy has not been moved or power acquired. I just want to say how delighted I was to discover your inspirational website today. 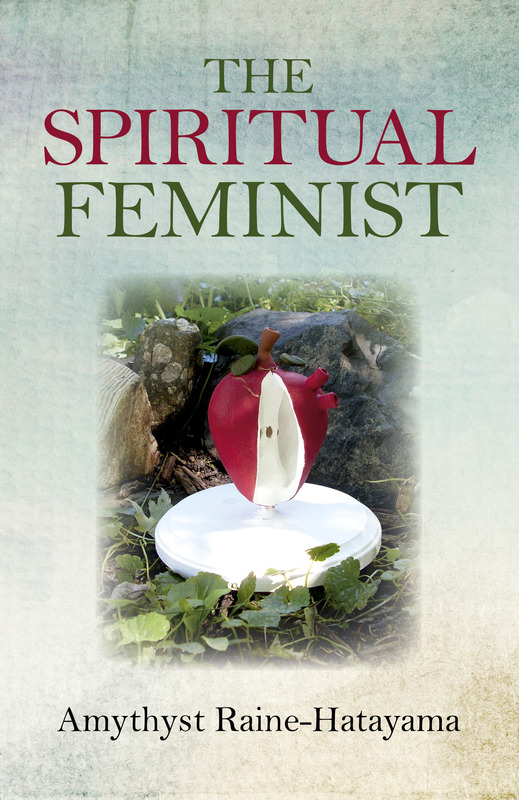 I am a retired male pastor from a Christian denomination that does not respect the lovely path of Goddess Spirituality. Since my retirement I have become interested in, and attracted to, the Goddess and the divine feminine. I want to learn all that I can and I realize that I have a lot of catching up to do in my understanding. Your website is extremely enlightening for me. Please accept my sincere thanks and compliments.